ARGYLE, TX -- A buffalo put up for sale on Craigslist has a new home. 'Bullet' is a 1,000-pound, housebroken bison. 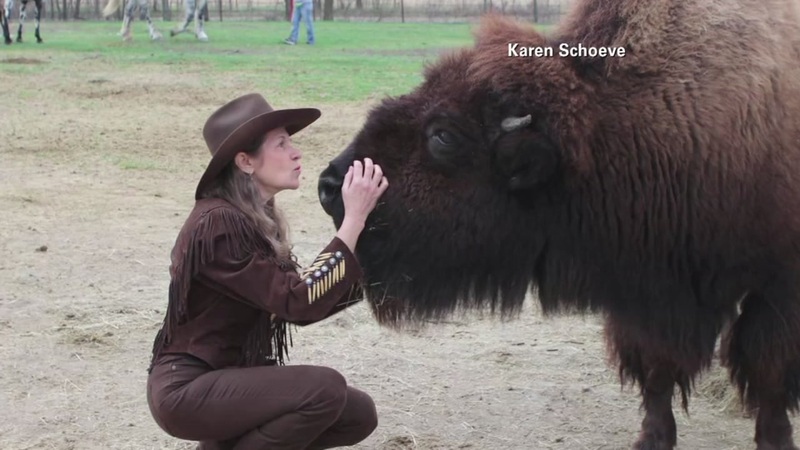 Her previous owner, Karen Schoeve, reluctantly placed Bullet up for sale on Craigslist to give the 8-year-old bison a chance to live in a bigger and better home. Bullet, the pet buffalo, is looking for a new home. Schoeve says even though she was selling Bullet for $5,900, she received offers up to $10,000 for the beautiful animal. After two months of searching, Bullet finally went to her new home on Saturday. Her new family says they have a big pasture and two cows that Bullet will become friends with. Schoeve says before Bullet left for her new place, the bison ran across the pasture to say goodbye. The new owners say Schoeve can visit anytime she wants. It was another image of an animal struggling to escape flood waters Thursday afternoon, and it was hard to watch.